Keep eggs off the plate this Easter with RATIONS Tofu Scramble Seasoning! Get double your scramble seasoning order for FREE when you order between 3/19 and 4/1. 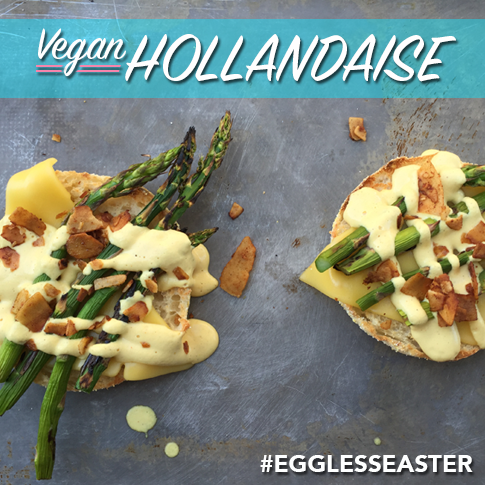 Phoney Baloney's would like to invite you to join us in celebrating Eggless Easter this year. Eggs are often one of the most overlooked sources of animal cruelty, and the bottom line is that you just don't need them! With our Rations Tofu Scramble Seasoning, you can get an eggy taste with the high protein content of tofu without any of the nasty fat, cholesterol and cruelty of chicken eggs. From 3/19 to 4/1, we're offering anyone who orders any amount of Tofu Scramble Seasoning at our online store TWICE THEIR ORDER OF RATIONS TOFU SCRAMBLE SEASONING FOR FREE. No promo code needed, just order scramble seasoning during those dates and we'll automatically throw in double the amount you ordered! In a natural setting, a hen will cluck to her chicks before they even hatch while sitting on the eggs in her nest. They peep back to her and to each other through their shells. It takes approximately 34 hours for a hen to produce an egg. So to keep up with demand, 452 million hens are used by the egg industry every year. Female chicks are separated from males and are used to continue to egg-production cycle. Male chicks are either ground up alive or tossed into garbage bags where they will be suffocated. More than 100 million male chicks are killed by the egg industry every year. Female chicks then have their beaks sawed off with a hot blade, without the use of any sort of pain killer or numbing agent. This is done because the chicks are kept in such small cages that they often hurt each other during confinement. After two years of being forced to live in tiny wiry cages, egg laying hens are taken to slaughter for their meat. Quite simply, chickens are the most abused animals on the planet. More than 55 times as many chickens are slaughtered each year as pigs and cows combined!